A LOVELY LOW MILEAGE TOP OF THE RANGE EXAMPLE with FULL HONDA SERVICE HISTORY (4 Stamps) and a GREAT SPECIFICATION including Panoramic glass roof, Voice activated command system, Integrated Bluetooth system, Radio/CD with USB and MP3 Auxiliary input sockets, Driver information system with connected multifunctional steering wheel, Cruise control, Vehicle stability assist traction control system, 16inch Alloy wheels, Air conditioned climate control, Electric windows x 4, Electric power folding heated mirrors, Rear privacy glass, Automatic wipers, Automatic headlights, Front and rear foglights, Power assisted steering, ABS, Driver airbag, Passenger airbag, Multiple side airbags, Remote central locking with Immobiliser and 2 remote keys, ISOFIX rear seating system, Adjustable steering column/wheel, Adjustable seats, Front and rear head restraints, Drivers armrest, Set of 4 fitted Honda floor Mats, Set of Mudflaps, Spare wheel, Folding rear seats. This stunning low mileage example has just arrived and is awaiting a pre sale inspection and full valet with more photos to follow. It is presented in EXCELLENT CONDITION and is a real credit to its previous owner who has owned it since it had done less than 100 miles. This vehicle will come with a FREE 6 MONTHS WARRANTY and has just passed its latest MOT now valid to 29th March 2020 with no advisories. 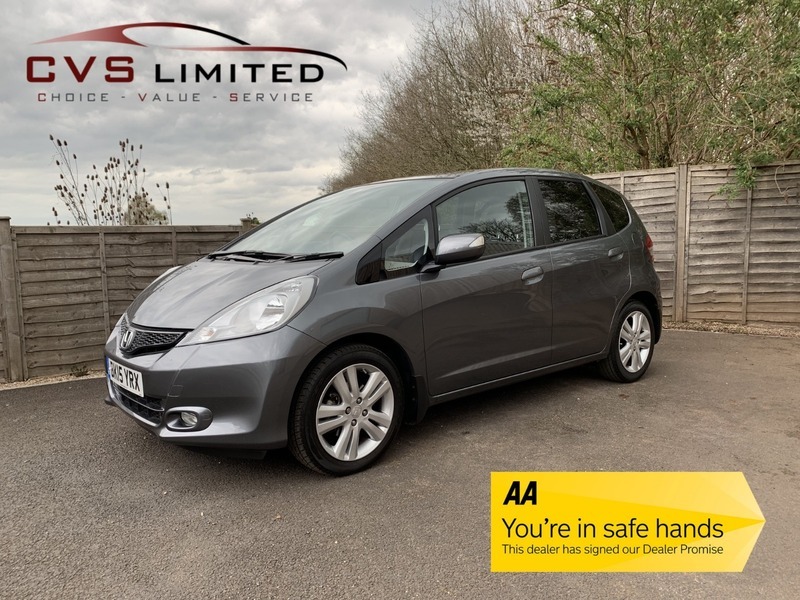 It also benefits from FULL HONDA SERVICE HISTORY having been serviced on 21st March 2016 at 4,134 miles, on 13th March 2017 at 8,216 miles, on 22nd March 2018 at 12,756 miles and most recently on 20th March 2019 at 15,858 miles! FREE 12 MONTHS AA BREAKDOWN COVER also available as well as very competitive FINANCE and PART EXCHANGE facilities. All our vehicles are HPI clear with a certificate provided. Appointments available 7 days a week. Please feel free to phone or email with any queries you may have or to arrange a viewing.